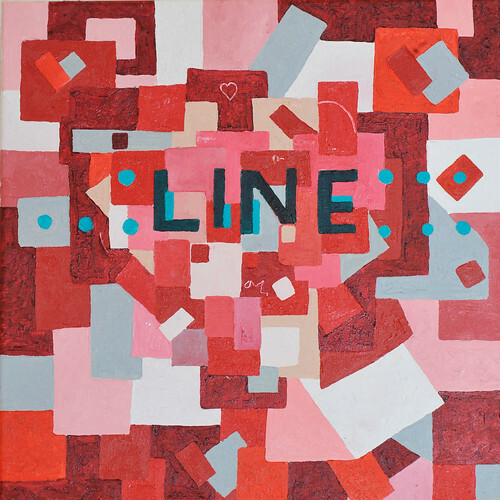 Uncharted Audio are now taking pre-orders for “Hearts” – the début album from Line. Available as a CD and download from the 9th of February, and as a vinyl LP from the 9th of March, the CD comes with a full colour 8-page booklet and the vinyl comes housed in a beautiful full colour sleeve. Why pre-order from us? Well, we love you. And to show just how much, we’re offering free stuff. 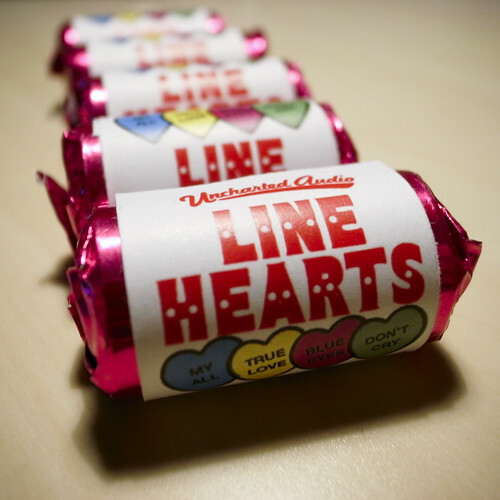 Naturally we’ll be despatching your physical item to you in good time for the release date and including some of the hot promotional “Line Hearts” sweeties. In addition, we know you don’t like to wait for the postman to come knocking, so as soon as we’ve processed your order (usually the same day) we’ll email you a personal link to download 320kbps mp3’s of the whole album, along with some remixes not available elsewhere, and a bunch of digital content including exclusive wallpapers and lyrics. *P&P charges apply. When ordering please ensure you select the correct option for your despatch address and the format you want to order. P&P to UK is 1GBP (CD) or 2GBP (vinyl), to mainland Europe 2GBP (CD) or 3GBP (vinyl) and to the rest of the world 3GBP (CD) or 4GBP (vinyl). Visit the preorder page and listen to the album. “Deep, pressurised funk and catchy synthpop”. “Plaintive voice times delectable electro prettiness times a monstrous bass equals Line… touching and defiant”. “Wicked tunes… fans of Hot Chip might just find the next big thing here… ‘Hearts’ works, and it shows that Britain’s electronica scene is alive and well… the scene can still throw out some great tunes”. Line (live) + Kone-R (dj) and guests TBC – visit the Ginglik website for further info. This entry was posted in Releases and tagged Hearts, Kone-R, Line. Bookmark the permalink.